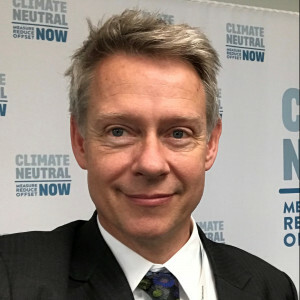 Niclas Svenningsen is the Manager for Global Climate Action at UNFCCC. In this capacity, he is responsible for UNFCCC’s different initiatives related to engaging non-party stakeholders; private sector, civil society, cities etc. This includes the Marrakech Partnership, Climate Neutral Now, The NAZCA platform, Momentum for Change and Action for Climate Empowerment. He is also working with UNFCCC’s support to market based mechanisms, including the Clean Development Mechanism and the negotiations on Article 6 of the Paris Agreement. Niclas has been working with the UN for the past 20 years, in different positions and countries. This includes the United Nations Environment Programme (UNEP) where he first managed UNEP’s industry program in Asia-Pacific, and later started several global initiatives related to sustainable buildings, urban development, and sustainable procurement. He also led an initiative to make UN walk the talk by becoming a climate neutral organization by 2020. Niclas holds M.Sc degrees in civil engineering and Petroleum Exploration, as well as a degree in environmental law, both from his native Sweden. He lives in Bonn, Germany with his family, and likes to test good and bad ideas for improving energy efficiency in his home, with mixed enthusiasm from the family.